You will find this tool helpful if you currently rely on having an administrative or courtesy copy of service sent to an assistant's email. Or, if your county has just started e-filing. If you are unsure how to set up a Service Contact, please click here to learn how. The Public Service Contact will not allow you to attach an additional email address to receive courtesy copies. 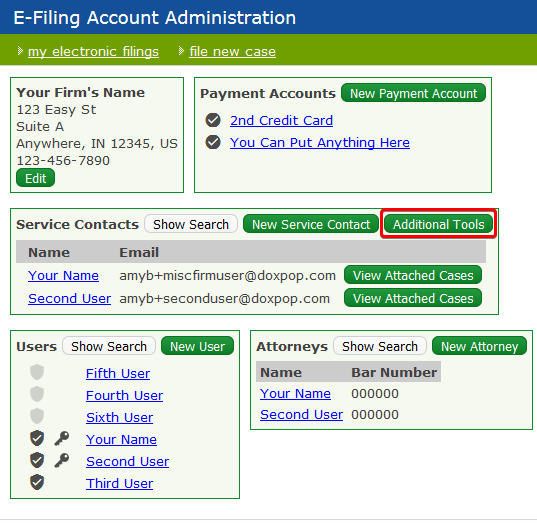 Any electronic service will be directed to the email address provided on the Roll of Attorneys. 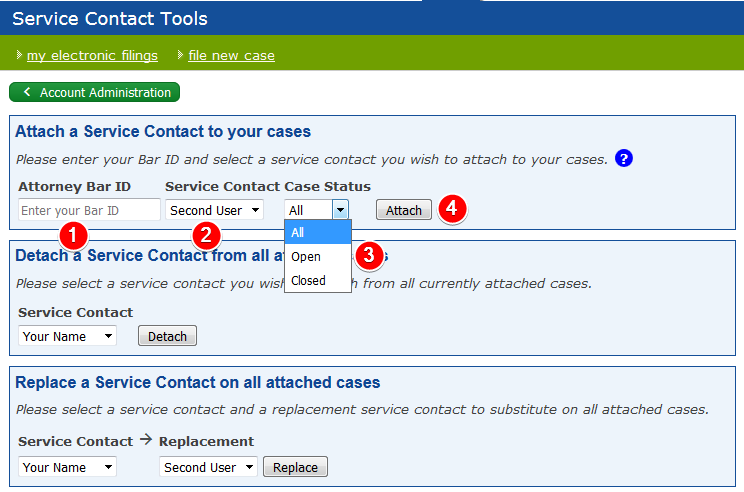 Within the Service Contact box, just click the button. Click the "Attach" button to begin the process. This tool omits: Confidential Type Cases, Appellate, Tax, and Supreme Court Cases. Currently these case are not available through Doxpop's public access. - If you have a large case load, the processing may take some time to complete. - Once the process is finished, an email will be sent to you listing all of the cases the Service Contact was attached to.